I’ve been teaching Customer Development at U.C. Berkeley’s Haas Business School since the fall of 2004 and in a joint MBA with Columbia since 2005. This Tuesday I finished the lectures for this semester and my students are now working hard on their final project. A lot has happened since I first authored and taught the class. Back in 2004, Jerry Engel the head of the Entreprenuership program at Haas Business School at U.C. Berkeley was brave enough to let me write and teach a class on a subject that no one had ever heard of – Customer Development. The previous two years at Haas I had guest taught and then co-taught an entreprenuership course, but this would be my first time going it alone. The rubble was still bouncing from the dot-com collapse and my goal was to teach students that there might be another way to think about how to build a startup. 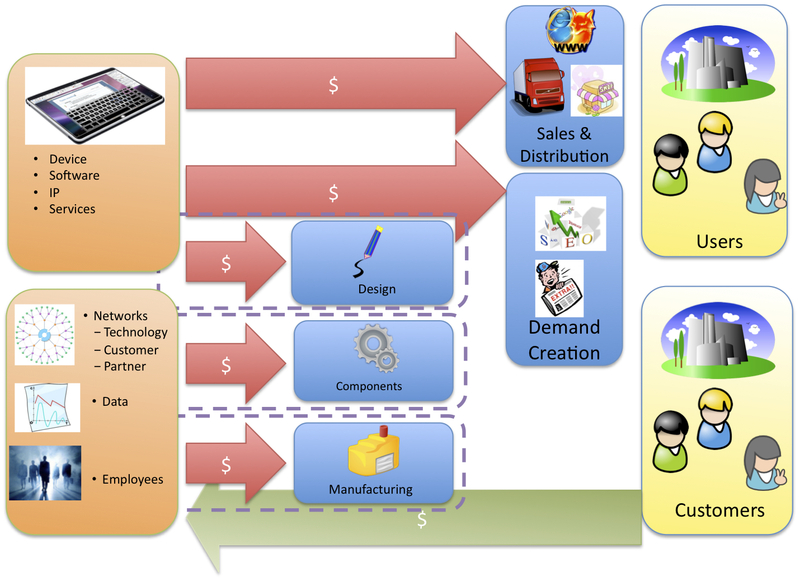 Customer Development was a process to quickly search for a profitable business model when customer needs (features, pricing, channel, etc.) are unknown. My intent at the time (as it is now) was not to offer Customer Development as the way but another way. The class essentially followed the text I wrote, The Four Steps to the Epiphany. The class met once a week for three hours. The syllabus was what you would expect; the first week of class was an introduction, and then subsequent weeks covered Market Type, Product versus Customer Development, and then two weeks on each of the four steps. Since this was Business School part of the teaching was with the case-method (students read a story, “the case,” about a real-world business problem. The cases are designed to have insufficient or confusing information and usually end with a dilemma. Students have to analyze the case, discuss it in the class and propose possible solutions.) This is a lot more fun then just hearing me drone on for three hours. The problem was that Harvard Business School who writes most of the cases used in Business Schools worldwide, had never heard of Customer Development. (Tom Eisenmann at HBS is now fixing that.) But at the time this meant that there were no cases written for any of the four steps in Customer Development. So I read through the HBS web site and picked 10 cases that were such egregious failures they unintentionally illustrated why a lack of Customer Discovery or Validation could sink a company. 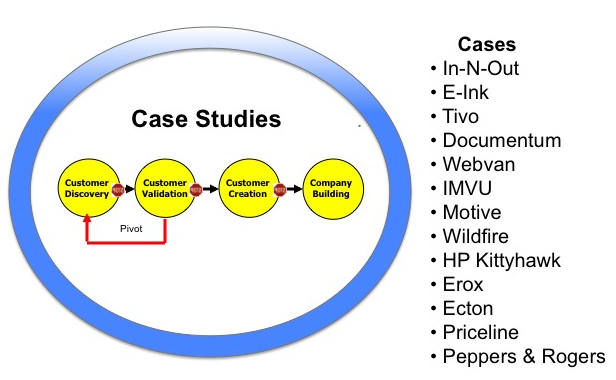 A few cases, like Motive, IMVU (written by Stanford,) Documentum and Priceline were examples of companies done right. Each semester I rotated through the cases and taught 6 or 7 of them. Is Mike Maples An Idiot? To supplement the lectures and cases I brought in a series of guests that could help illustrate some of the points I was making in each of the four steps of Customer Development. My favorite case was about a company called Motive. In it the VP of Business Development is in Customer Validation and faced with the dilemma of whether he should give away his product in beta test or charge for it. The case says he decides to charge $50,000 for his beta software and is now worrying whether anyone will buy it. After discussing the case and its relevance to Customer Validation I’d ask the class, “How many of you think that Mike Maples the VP of Business Development of Motive is a genius?” I get a show of hands “Tell me why you think he’s so smart?” I’d ask. “How many of you think he’s an idiot?” Another show of hands. (The class usually split 50/50.) “If you think he’s an idiot what would you tell him?” I innocently asked. The responses usually got explicit and colorful. I then point to the back of the room and announce, “Mike, why don’t you come up here and tell us why you weren’t an idiot.” Mike Maples, the subject of the case, had been sitting in the back of the classroom. (Mike is now a partner in the super-angel firm Floodgate.) The class would roar. No matter how many years Mike and I did this it still surprised every class. After each of the four steps students had a one-page assignment – they needed to get out of the building and analyze a company to see whether it had engaged in that step of Customer Development. How did it affect their success or failure? What were some of the key things they learned/should have learned? For the final project, students formed 5-person teams, got out of the building and analyzed a company’s progress through all four steps of Customer Development. While the Customer Development class was cutting edge theory in 2004, by 2009 the class was getting stale. Ironically it was because one of my students, Eric Ries who solved the problem of how engineering would actually build products in companies with a Customer Development process. Customer Development was a way to quickly search outside the building for a profitable business model when customer needs are unknown. Eric observed that an Agile Development model was the right match for engineering to build a product when the initial feature set was unknown. The sum of solving for both unknown customer needs and unknown features became the Lean Startup. 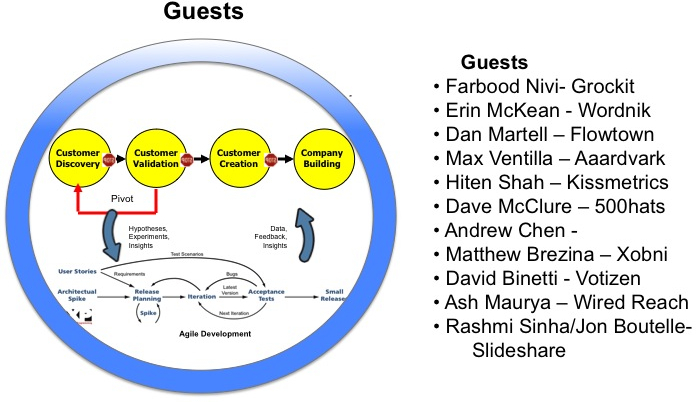 This year I decided the Customer Development class needed to morph into the Lean Startup class. We needed to teach both Customer Development and Agile methodologies. I drafted Eric to help teach the class and we began to transform the curriculum. Six years ago when students would ask, “So Professor Blank which companies are actually doing Customer Development?” The best I could do was wave my hands and say it’s a good academic theory and some day lots of startups will be doing it. Fast forward to this year and Eric brought in a stream of companies doing all or part of Customer and Agile Development. We had so many guests this semester that most of the cases I normally teach got preempted by these real-world examples. This was a transition year for the curriculum. The guests were great but they were all web 2.0 examples. I need some enterprise software and hardware company cases. The lecture material is still heavily Customer Development. I’m going to have to work hard and extract the specifics of how engineering does continuous learning and deployment and teach it in sync with each step of Customer Development. The Pivot’s are the core of the iterative nature of Customer and Agile Development and we need more lecture, case and guest examples. Never look back unless you’re planning to go that way. Last Friday’s Startup Lessons Learned Conference may go down as the Woodstock of entrepreneurship. It was an all day event devoted to the theory and practice of Lean Startups and Customer Development. There’s a growing realization that startups with market and customer risk can be built in a radically different way than have been done before – not just cheaper, or faster – but potentially with something more profound – a greater probability of success. The 400 people who filled the conference room in San Francisco and thousands who watched it across the world shared this belief. But what was more remarkable were the list of speakers who have embraced (all or part of ) this methodology; Kent Beck (creator of Extreme Programming and Test Driven Development), Brett Durrett of IMVU (the first Lean Implementation), Randy Komisar partner at Kleiner Perkins, Hiten Shah of KISSmetrics, Drew Houston of Dropbox, Farbood Nivi of Grockit, David Weekly of PBworks and on and on. The full list of great speakers is here and links to their presentations are here and videos of all the presentations can be found here. Two tests for any successful conference are: a) to see how many seats are empty by the end of the day. After 8 full hours at this one there seemed to be more people in the hall at the end then when we started and b) if everyone thought they got their money’s worth. It wasn’t my show, but I think they’ll be renting a much bigger hall next year. This was one of those events that if you weren’t there you will say you were. This conference and the Lean Startup was the work of one amazing individual – Eric Ries. It was both satisfying and a bit surrealistic to sit in the back of the hall looking at the sea of heads and listening to speakers extend, embellish and expand on a topic that a scant five years ago was just my theory in my U.C. Berkeley classroom. 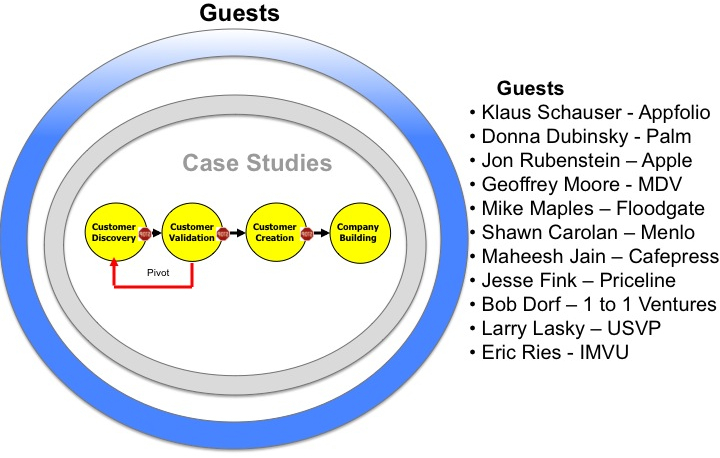 It wasn’t until Eric Ries sat in my class and had the insight – that to actually implement Customer Development engineers needed to couple it with an agile methodology – that the theory turned into practice. 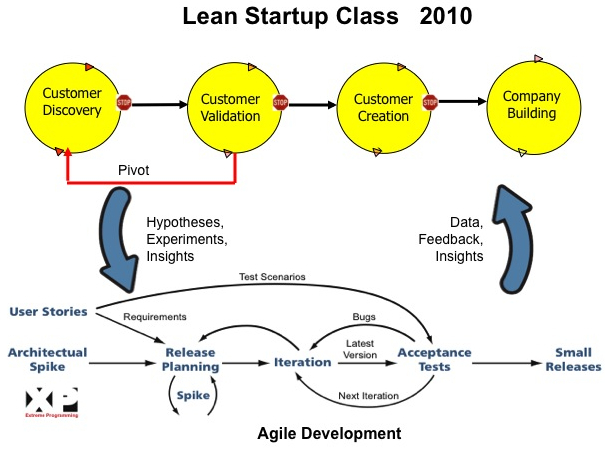 It was then that Customer Development became one of the building blocks of the Lean Startup. Eric left my classroom, and with his partner Will Harvey implemented the Lean Startup at IMVU. 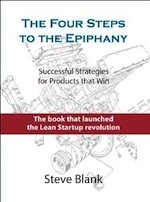 He since traveled the world becoming the Johnny Appleseed of the Lean Startup principles. If you wanted to know what I’ve been thinking about after Customer Development, you can see and hear it in the talk I gave at the conference. 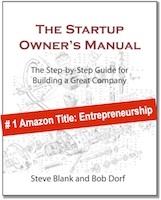 Watch the expanded version of “Why Accountants Don’t Run Startups below. 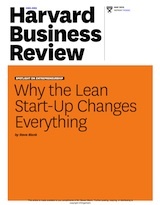 The New York Times also thought the Lean Startup was a good idea. Their story in the Sunday Times Business Section is here. NY Times columnist Steve Lohr expands on the article in his Bits blog here. I was catching up over coffee and a muffin with a student I hadn’t seen for years who’s now CEO of his own struggling startup. As I listened to him present the problems of matching lithium-ion battery packs to EV powertrains and direct drive motors, I realized that he had a built a product for a segment of the electric vehicle market that possibly could put his company on the right side of a major industry discontinuity. But he was explaining it like it was his PhD dissertation defense. The ability to deliver a persuasive elevator pitch and follow it up with a substantive presentation is the difference between a funded entrepreneur and those having coffee complaining that they’re out of cash. It’s a litmus test of how you will behave in front of customers, employees and investors. How do you put together a 30-second pitch? Envision how the world will be different five years after people started using your product. Tell me. Explain to me why it’s a logical conclusion. Quickly show me that it’s possible. And do this in less than 100 words. The reality is that if you are going to be a founding CEO, investors want to understand that you have a vision big enough to address a major opportunity and an investment. Potential employees need to understand your vision of the future to decide whether against all other choices they will join you. Customers need to stop being satisfied with the status quo and queue up for whatever you are going to deliver. Your elevator pitch is a proxy for all of these things. While my ex student had been describing the detailed architecture of middleware of electric vehicles I realized what I wanted to understand was how this company was going to change the world. Do it in 100 words or less. One of the best ways to get a debate going into the entrepreneurial world is to throw the “Nature versus Nurture” hand-grenade into a conversation. The question is whether you are born with innate entrepreneurial talent or whether you can be taught to operate like an entrepreneur. Fred Wilson of Union Square Ventures, Jason Calacanis, founder of Mahalo.com, and Mark Suster of GRP Partners, have all weighed in on the nature side – you’re born being an entrepreneur or you’re not. Vivek Wadhwa, Director of Research, Center for Entrepreneurship at Duke, the Kauffmann Foundation for Entreprenuership and others have the opposing view – you can teach people to be entrepreneurial. This Tuesday, April 20th Stanford’s Business Association of Stanford Entrepreneurial Students will be sponsoring a panel discussion on Nature Versus Nurture and Entrepreneurship. Mark Suster, Vivek Wadhwa and Patrick Chung, Partner at New Enterprises Associates will be debating. I’ll be the moderator (referee). Since I get to ask questions but not talk, I’ll weigh in with my two cents here. Most of the nature versus nurture conversations start by defining the characteristics of an entrepreneur: risk taking, tenacity, resilience, confidence, competiveness, belief in ones self, ability to construct a vision, reality distortion field, etc. The conversation then goes into making the case whether these can be taught or you’re born with them. The “it’s all about nature” point of view is pretty simple. You got the skills you were born with hardwired in your DNA. There was a point in my life when it felt good thinking that I was born with skills that few others have. Heck, if there is one defining characteristic that all entrepreneurs do have it’s a healthy ego and the feeling that their skills are special and unique. How depressing to think that others could be trained to do what I could do. Everything about my own career says I was born with it. On the other hand, there’s something un-American to think that you cannot rise above your genes and your station in life. The idea that the U.S. is an egalitarian society based on “All men are created equal” is what makes the country a magnet for so many. The nurture camp believes that with hard work and the right education anyone can learn to be an entrepreneur. As I got older I realized that whatever I was born with was shaped by thousands of hours of my environment – a chaotic upbringing, learning how to work in a war zone, multiple mentors throughout my career, etc. Everything about my own career says I was nurtured by my environment. One of the common threads through the blogs on the Nature/Nurture subject is the tendency of the writers to take their personal experience and extrapolate it to others; the “I knew I was an entrepreneur since high school – therefore everyone else is” to make the nature case. Or the “My parents were in business, or I had a great set of mentors and teachers” to explain why nurture is correct. This “debate” feels like the story about the blind men describing the elephant – what seems an absolute truth may be relative due to the deceptive nature of half-truths. Over the last decade I’ve taught over a 1000 students in entrepreneurial classes and a good percentage of them start companies. They’ve come from all backgrounds and walks of life, ethnicity, class, and type of schools. An interesting proportion come from dysfunctional families yet the majority had a normal upbringing. My students from foreign countries beat the long odds to make it from their distant country to my classroom, while others were born in New York and flew here first class. Some were hard-wired from an early age knowing they wanted to kill it from day one. Others saw the light first go on as PhD students as they sat in my classroom. VC’s might fund one of these types or another (started their first company in high school, top schools versus not, men versus women, etc.) but it’s not clear that there’s any evidence other than their selection bias that one is better than the other. Just some passionate opinions stated with certainty. Nature Versus Nurture versus Culture? Local culture and environment is the last part of the debate that rarely gets mentioned and may be of equal importance. Thirty plus years ago when I came to Silicon Valley Asians and Indians in high technology were a small minority, and almost none were running companies or in venture capital. Were there no Asians or Indians with entrepreneurial DNA in the U.S.? Were they not being nurtured? Or was there something about the (venture capital) culture of the valley at the time that didn’t think they could be entrepreneurial founders or investors? Are we going to look back in 30 years and say the same about why there are so few woman entrepreneurs today? And how do we explain China? China today is a hotbed of entrepreneurship. But there were no large-scale entrepreneurs in China in the 1960’s. Is it possible that no one in China had any entrepreneurial DNA in the 1960’s? Or no entrepreneurs were being nurtured in China in the 1960’s? Change the external culture and environment and entrepreneurship can bloom regardless of its source – nature or nurture. The reality seems to be that there are multiple paths to becoming an entrepreneur. Entrepreneurs are born not made. True. Entrepreneurs are made not born. True. Entrepreneurs can’t flourish without a supportive culture and environment. This week I’m at the California Coastal Commission hearing in Ventura California wearing my other hat as a public official for the State of California. After the hearing I drove up to Santa Barbara to give a talk to a Lean Startup Meetup. The talk, “Why Accountants Don’t Run Startups” summarized my current thinking about startups, how and why they’re different than large companies and for good measure threw in a few thoughts about entrepreneurial education. It was a dry run of a talk I’ll be giving at Eric Ries’ Startup Lessons Learned conference April 23 2010 in San Francisco (streaming and simulcast across the world.) I’m a small part of what’s shaping up to be a spectacular conference and an all-star cast. Update: I’ve updated the slides to the latest version of the talk. The original can still be found here.